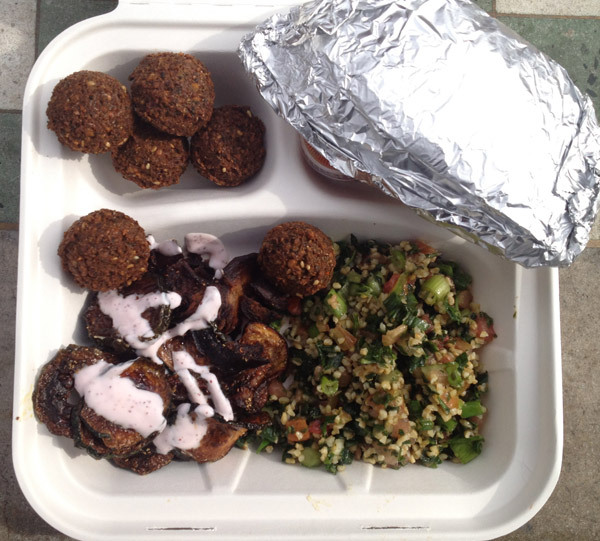 Lunch at Ba’al Cafe: Falafel, Fried Eggplants and Zucchini, Tabbouleh , Pita—falafel, tabbouleh, pita were very good, but fried eggplants/zucchini was way to greasy and not edible. 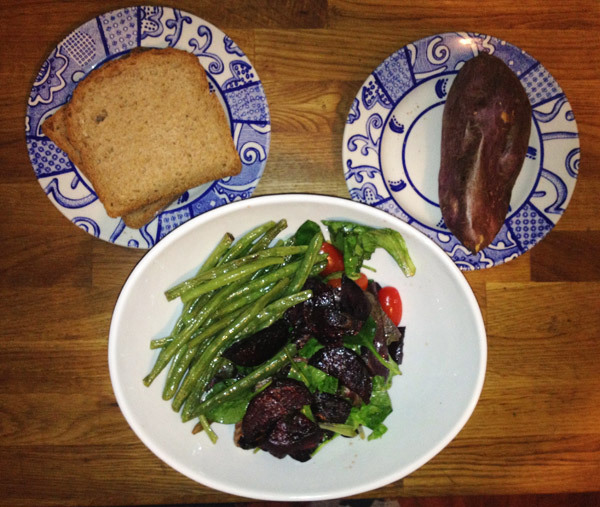 Dinner: Roasted Beets and Greenbeans, Mixed Baby Green Salad with Grape Tomatoes, Spelt Toasts, Baked Sweet Potato—yes. I did finish all of them. This entry was posted in February Menus and tagged Baked Sweet Potato, falafel, Pita, Roasted Beets, Roasted Green Beans, tabbouleh by naokookabe. Bookmark the permalink.